There is nothing better than a good book-friend, and I’m grateful to mine for steering me to The House at Sea’s End by Elly Griffiths. Ruth Galloway is a forensic archaeologist, university professor and single mom, and she’d be the first to admit that she has no idea which identity is primary. She’s new at the mom game and not entirely convinced that 4 month old Kate even likes her. Ruth is called in to direct a dig on a Norfolk beach when a team studying beach erosion finds human bones wedged in a cleft in a cliff. These are no random bones, but six complete skeletons (well nearly complete…one is missing a finger) with wrists still bound behind them, one still clutching a rosary. 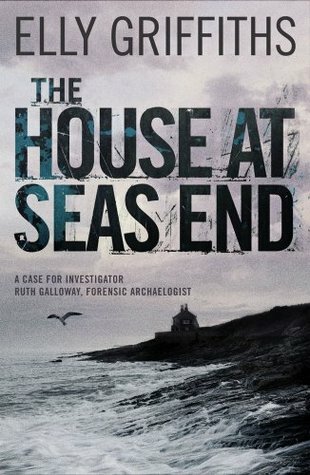 When Ruth discovers bullet holes in several of the skulls, the investigation widens to include DCI Harry Nelson, the very-married father of Ruth’s daughter. What follows is a World War II mystery that stirs up the passion and guilt of the living as well as the murky secrets of the past. I couldn’t put this one down until I finished. Griffiths is a master of using word snapshots and snippets of dialog to create characters so vivid I swear I could point them out on the street. Warning: This is not the first Ruth Galloway mystery, though after a brief, enigmatic beginning, I thought it could easily stand on its own. But for those of you who prefer starting at the beginning, the first title is The Crossing Places, and the second is The Janus Stone. I will absolutely read them, but slo-oo-owly, so I won’t have so long to wait for number four. This book is available at the Rochester Public Library. For more information about this book or the author, you can visit the author’s website by following this link. I admit it. I’m a sucker for a good romance novel. I don’t read too many of them these days because, to be honest, over the years it began to feel like I was reading the same story over and over again, with just the character names swapped out. And that’s probably part of the reason so many people enjoy a good romance novel: you know what to expect. Boy meets girl, boy and girl fall in love, boy and girl have conflict, boy and girl make up, and finally boy and girl get married and live happily ever after. Simple and sweet and – in the right frame of mind – perfect. I must’ve been in the right frame of mind this week because I picked up a Romance novella entitled The Duchess of Love, and absolutely adored it! It had all the wonderful elements of a great romance novel, with only about 100 pages. And I zoomed right through it in about two hours. It was the perfect poolside read! The Duchess of Love is the prequel to a series by the same title and written by Sally MacKenzie. It tells the story of Venus Collingswood as she attempts to matchmake her beautiful older sister, Aphrodite, to a young Duke of Greycliffe. The entire story is one of mistaken identities, misunderstandings, and the blush of first love. It was simple and sweet, and the characters were completely likeable. And, as I turned the last page, I did so with a great deal of regret as I hated saying goodbye to the characters. But, as I mentioned earlier, I’m in luck: The Duchess of Love is a prequel to a series of books by the same author and (presumably) featuring some of the same characters. This book is available online through the Rochester Public Library’s e-book collection for e-readers. For two years, Ida Morgan has locked herself into her safely fenced home and garden, mourning the loss of her husband and the end of her chance at happiness in life. Now a widow living in South Africa, she discovers a child floating in the river at the bottom of her garden. A huge storm had brought down one of Ida’s trees, and that barrier led to a complete change in her life. 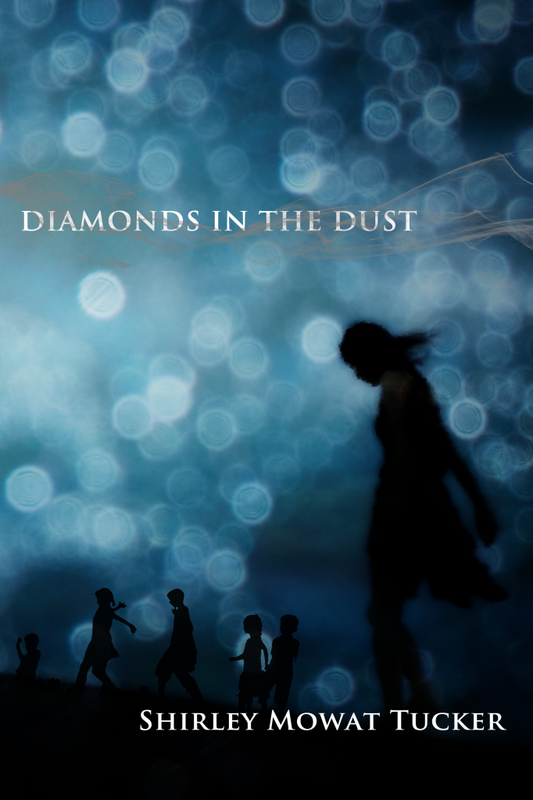 The book Diamonds in the Dust is both a heart-wrenching and faith-restoring novel of how people’s lives are often changed beyond their imaginings. While this novel has strong messages of morality and the consequences of good and evil, the author keeps the focus on character development and plot movement rather than on proselytizing. The result is a moving and thought-provoking novel that I’d highly recommend. Join us this Thursday, August 16th, as Shirley Tucker – author of Diamonds in the Dust – presents in the library auditorium to discuss this book. Admission is free and open to the public.